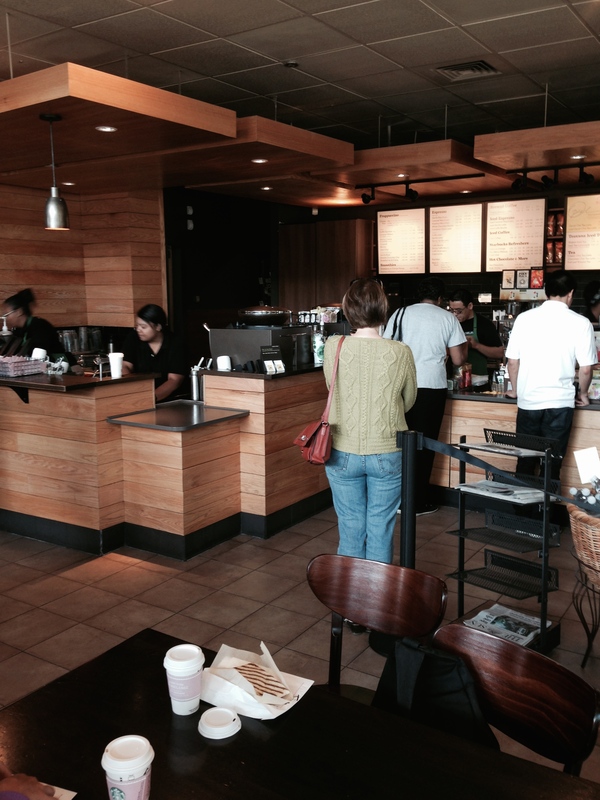 Each Saturday morning I spend a few hours in the Starbucks at our local mall. If you have followed this blog for any time then you know that I refer to it as ‘my Starbucks.’ It is an affectionate term for a ‘place’ that has become part of my own weekly rhythm, replete with familiar faces. There is the manager who only ever wears short pants, even on winter’s coldest days. He hid patrons and staff in the back room when gunshots rang throughout the mall earlier this year. An older English gentleman who teaches yoga in apartment communities is a regular, and sings along whenever old Rock & Roll plays. The other day he stumped me on a Donovan song (though he wasn’t entirely certain it was Donovan). There is an environmental engineer who is on a personal search for life and faith. We talk weekly, and can finally remember each other’s names. And then there is the young cop, a Member of our church, whose beat includes the Mall. He often meets with other officers at my Starbucks, and when he does, we embrace and catch up on his wife and little children. Having spent our early years in Youth Ministry, Katherine and I learned that it was important to look out for young people who seemed ‘out of place.’ They were lonely and didn’t quite fit into the categories their fellow students had established for that ‘community.’ Forcing acceptance was the worst thing we could do for either party because finding one’s ‘place’ is more about coming to terms with who we are before Christ. That isn’t an easy thing to teach young people, much less to embrace for ourselves. Jesus’ promise to be with us ‘always’ (Matthew 28:20) is more than a kind parting sentiment. It is the radical promise that ‘place’ was never intended to be a moving target dictated by social status, personal wealth or religious savvy, but in a relational reality that transcends time, space and circumstance. Because of Jesus, every location in which we find ourselves, whether a coffee shop, a sanctuary, a brewery, a prison or a home – is sacred… because He is there. You are currently reading Find Your Starbucks at unfinished1.